North America held the major share in global generalized anxiety disorder market, followed by Europe and Asia-Pacific region in terms of revenue. In North America, Mexico is the leading country with 2.5% CAGR followed by Canada and the U.S. with 2.0% and 1.5% CAGR respectively. In Canada, the number of depression cases is likely to increase with the adoption of sedentary lifestyles. This has brought forward the newfound demand for development of therapeutics and is more likely to have a positive impact on the demand and growth for generalized anxiety disorder market. The developments in mental health-care services and rising awareness towards anxiety disorders are responsible for the increase in the diagnosis of GAD in this region. The growing geriatric population is increasing the anxiety diagnosis rates in Mexico, thus directly boosting the demand for physiotherapies such as Cognitive Behavior Therapy (CBT) and GAD medication. The sedentary lifestyle and stressful work environments are the major factors for the growing incidence of anxiety disorders in the U.S. According to Anxiety and Depression Association of America (ADAA), nearly 6.8 million people accounting to 3.1% of total population is affected by GAD every year. Moreover, the approval of several drugs including antidepressant drugs such as Paroxetine and Escitalopram, and benzodiazepine sedatives such as Alprazolam and Clonazepam is promising for the growth of therapeutic drugs in the U.S.
Anxiety and depressive disorders emerged as the two most common psychiatric illnesses across the globe. According to WHO, Brazil has the highest prevalence of anxiety disorders in the world and the country ranks fifth in depression disorders. The Asia-Pacific region is estimated to witness fastest growth rate to reach $1.8 billion with a CAGR of 3.8 by 2023. It is expected to register healthy growth especially from India and China owing to the rising healthcare expenditure coupled with growing number of geriatric population with depression, anxiety and panic disorders. The transition of psychiatric services in Japan towards adoption of standardized diagnostic criteria and advanced antidepressant drugs such as selective serotonin, reuptake inhibitors are also increasing the prevalence of GAD. • The value chain analysis deals with the comprehensive evaluation of each activity involved in the processing of any product/service and finally delivering it to the end-users. Each stage across the value chain of a product or service is associated with creating some sort of monetary value. The value chain analysis can offer the company a chance to examine every activity across the value chain and identify the steps where elimination or modification is essential. • The value chain of the generalized anxiety disorder market involves various stages such as research and development, clinical trials, regulatory agencies, distributors and end users. • Initially, the prototype is manufactured based on R&D and undergoes various phases of examination by regulatory bodies. It will get approved once it passes all the stages. These approved generalized anxiety disorders drugs are manufactured in bulk and are distributed directly or indirectly to end users. 1. 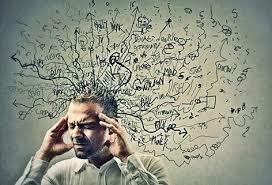 Generalized anxiety disorder market is experiencing growth globally owing to the rising instances of depression and global anxiety disorders among working class population due to extreme stress and busy lifestyles. 2. Aggregating healthcare expenditure coupled with the increasing number of FDA approved drugs for treating anxiety disorders is providing opportunities for manufactures to invest in research and product development of these drugs and expand their product portfolio. 3. Increasing stress and sedentary lifestyle is increasing the number of patients suffering from GAD and thus, driving the market growth globally. 4. Technological advancement in the pharmaceutical industry is slated to provide significant opportunity to the generalized anxiety disorder market. 5. Additionally, increasing public and private partnerships in the healthcare sector for R&D of generalized anxiety disorder drugs offers opportunity in the coming future for the GAD market. Pfizer, Inc. and Eli Lilly and Company are analyzed to be the dominant players of the Generalized Anxiety Disorder market. The top 5 companies constitute more than 50% share in the total market globally. Acquisitions and partnerships are the key strategies adopted by the companies to enhance their market share. F-Hoffmann-La Roche GlaxoSmithKline plc. Noven Pharmaceuticals, Inc. Does IndustryARC publish country, geography or application based reports in Generalized Anxiety Disorder?